Start your review of Kerri Morrow. This was our first experience purchasing a vehicle from Don Wheaton and I would definitely recommend them. From the time we entered the building we felt sincerely welcomed by everyone. Shawn was very good about answering all our questions. He was attentive but not pushy. 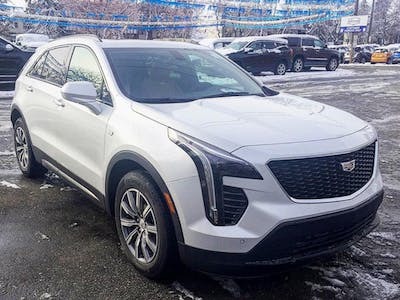 He explained and showed us the difference between the XT5 option packages, then gave us the time we needed to make our decision. Thank you Shawn. "Always a pleasure to deal with. Great customer experience." Over the past several years I have purchased 6 new vehicles from the dealership and in each case I was treated to fantastic service and great deals. The customer experience was wonderful from both the sales staff interaction and the service department. I won't do business anywhere else.